The “Sunday Magazine” issue of the Detroit News Tribune, April 14, 1912 offers a curious juxtaposition of date, image, and event (see below). 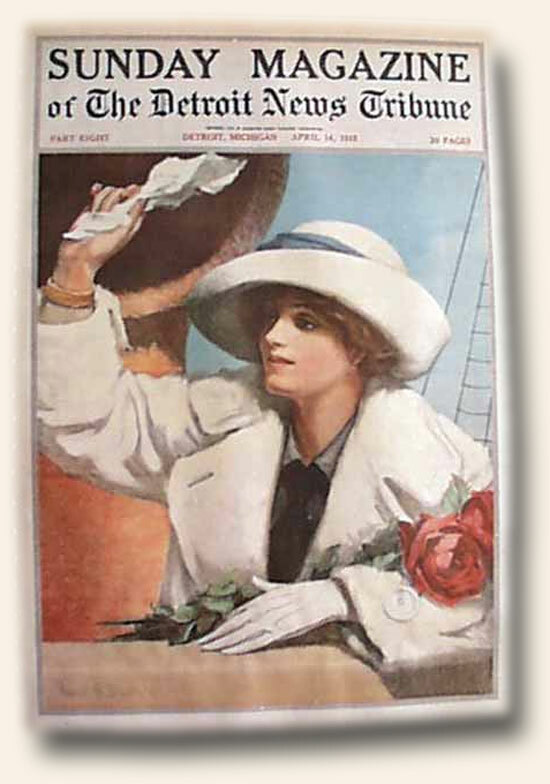 The color print on the cover shows a woman waving from what would appear to be the deck of a ship. This also happens to be the very day the Titanic stuck the iceberg, which would go down in history as one of the more tragic maritime disasters of all time. At times cover prints or content within newspapers offer some interesting collectibles, even when the the relevance could not have been known when published.